On January 19, 2015, the Hindu community of the Kashmiri Pandits completed 25 years of exile. Following the outbreak of Islamist insurgency in Kashmir during the late 1980s, Kashmiri Pandits started finding themselves at the receiving end of a mindless wave of violence unleashed by terrorist groups. The mass exodus of the Kashmiri Pandits from the valley began on the night of January 19, 1990, as the valley reverberated with slogans of “azaadi”, “nizam-e-mustafa” and “la ilaha illallah”. Militant outfits like the Hizbul Mujahideen had issued open threats to the Kashmiri Pandits to leave Kashmir. Those who managed to escape the violence and migrate to the Jammu region have lived to tell tales of how the mosques’ loudspeakers were used to intimidate the Pandits. Various derogatory slogans were chanted, urging the Kashmiri Pandit men to leave. The ethnic cleansing of the Pandits clearly indicated the failure of the Indian state to provide adequate security to the community. Thousands migrated via the use of private transport in order to escape the wrath of the militants, whilst others, instead of being protected and guarded, were pushed to move out of the Kashmir valley by Governor Jagmohan. The government failed to prevent the persecution of a people who held allegiance to India close to their hearts. In his book, ‘Our Moon has Blood Clots’, renowned Kashmiri Pandit author, Rahul Pandita, spoke about the gross injustice meted out to the Pandits. Whilst writing for Open Magazine, Pandita mentioned that nearly 32,000 houses belonging to the Kashmiri Pandits have been burnt down since 1991. While it is difficult to state statistically the scale of the tragedy, as per Amnesty International an estimated 150,000 to 200,000 Kashmiri Pandits left the valley after repeated threats from terrorist groups. In 2010, the state government of Jammu and Kashmir said that 219 Kashmiri Pandits have been killed by militants since 1989 but the figure was disputed by an organisation named the Kashmiri Pandit Sangharsh Samiti whose survey claimed that the death toll stood at 399. Some organisations have gone to the extent of claiming that thousands were butchered and mutilated. Hence, the real scale of the tragedy is unclear. Now, 25 years have passed since the exodus began but no one has really stood up for the Pandits. The Indian National Congress (INC), which positions itself as the epitome of secularism in Indian politics, has never taken up their cause as vigorously as it should have. Bharatiya Janata Party (BJP) has talked about Pandits quite often but has failed to move beyond rhetoric. It appears that the Hindu nationalist BJP views them merely as a vote bank because BJP’s track record in this matter is something not to be proud of. Both the parties have headed coalitions at the centre and led national governments since the exodus happened but none could reverse the ground situation or ensure the resettlement of the Kashmiri Pandits in the valley. The regional parties in the state of Jammu and Kashmir, namely the NC and the People’s Democratic Party (PDP), have exchanged power in the state several times but have never gone beyond making ceremonial gestures towards the Pandits. 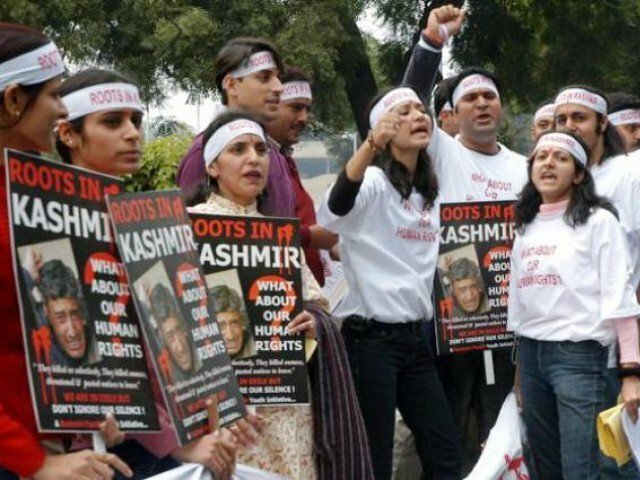 The so-called mass leaders of Kashmir, who hold protests and rallies regularly when human rights abuses are carried out by the Indian army, have never really dissented with the same zeal for the human rights of the Kashmiri Pandits. In the last few years, how many angry protests have we seen in Kashmir demanding the resettlement of the Kashmiri Pandits in the valley? The answer is obviously disappointing. 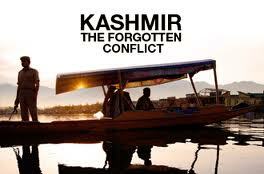 Why is it that the state of Pakistan, which has repeatedly raised the issue of Kashmir at the United Nations, never spoken in favour of the Kashmiri Pandits? Are they not Kashmiris? Why this selective discrimination? President Musharraf could see the carnage against Muslims in Gujarat but not the communal violence of which the Pandits became victims. Let us stop this hypocrisy. It is high time that the Indian state woke up from its slumber and gave justice to the Kashmiri Pandits. They have been wronged for too long. Though the community has rebuilt itself through tireless hard work, it requires the active support of Indians from all classes, communities and regions. On the 25th anniversary of the exodus, Arnab Goswami’s hyper nationalist programme, The Newshour aired on Times Now, abruptly ended a debate on Kashmiri Pandits to relay BJP President Amit Shah’s press conference live in which he would go on to name Kiran Bedi as his party’s chief ministerial candidate for the Delhi elections. The channel’s news selection reflected the lack of importance attributed to the cause of the Kashmiri Pandits. Though social media has enabled their cause to be taken up in a big way, this issue needs to make it to the front page of newspapers and generate nationwide empathy and support for the Pandits. We cannot afford to let it slip away. There is a need for the government to initiate confidence building measures between the community of the Kashmiri Pandits and the Kashmiri Muslims. The spirit of Kashmiriyat or the composite culture of the place cannot be restored unless the Pandits are resettled in the valley. But the real question is whether the two communities trust each other. Will the Kashmiri Pandits be willing to go back to the same neighbourhood, and will the Kashmiri Muslims welcome them with open arms? We need to realise that the road to reconciliation lies in integration and not segregation. This is the reason it would be unwise to support those who ask for a separate homeland for Kashmiri Pandits in the name of Panun Kashmir. The partition of India failed to resolve communal problems. From time to time, different religious communities have been persecuted on both the sides of the border. Hence, there is a dire need to stop resorting to segregation and aspire for integration. As Kashmiri Pandits await justice, we must rise up to the occasion and put a stop to this indifference.